You know how you pass by a store a lot thinking “I’m going to go in there one day” and when you finally do, you are pleasantly surprised by what you find inside? Well, there’s a wonderful Mexican store in the lower level of the St. Lawrence Market that makes great guacamole and it got me thinking of how I would make my own. Manotas Organics and Fine Foods is a small little store with barely any room for the Saturday market crowd but it’s well worth you time to squeeze through whenever you get the urge for Latin food. They have a freezer section with a great selection of organic and fine Latin foods and a wall of ready made hot sauces, dips, tortillas and various other items. Nancy Ciancibello is the owner and her store specializes in authentic ingredients from Spain and Central & South America. She is a wealth of information for authentic Spanish gastronomy and Latin American cuisines. I highly recommend picking up their mini tortillas (along with any of their other tasty offerings) for your next Mexican inspired meal. I now keep them stocked in my freezer. How do you tell when an avocado is ready to eat? 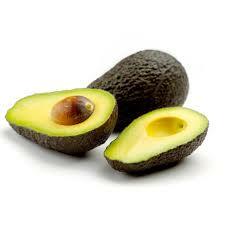 Depending on the type of avocado, the skin will turn dark green or black. It should not be rock hard but give slightly when you hold it firmly. Avocados have a thick, tough skin but you will be able to feel the difference between one that is not ripe and one that is past it’s prime. Pick up a few when you’re in the grocery store and you’ll see what I mean. Personally, I don’t like my avocado to be too ripe or mushy. When I’m in the mood for this recipe, I’ll pick up a few and make sure that I have one that’s ready to be used that day and then the other one may be a bit harder but I know it will be ready in a day or two. If this is your first time handling an avocado you should know that there is a huge seed, or pit, in the centre that you will have a very difficult time cutting through without an electric saw. You can either firmly grip the avocado in your hand (with or without a towel), or put the avocado on the counter and grip firmly so it doesn’t go flying out of your hand while you are cutting it. 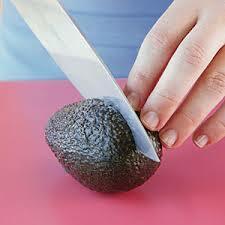 Next, take a large chef knife and cut into the avocado until you hit the centre pit. 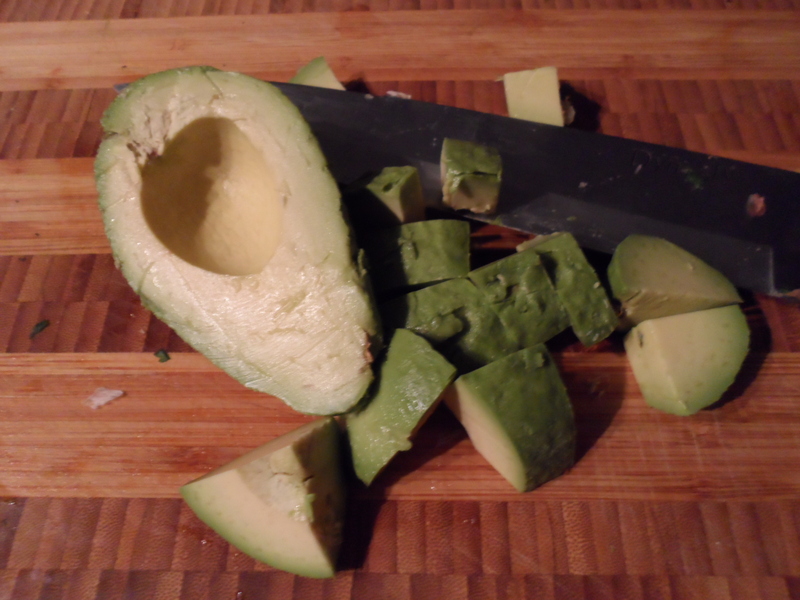 Then you just run your knife around the pit of the avocado so that you’ve cut through the “equator” of the fruit. You will not have cut through the pit. Remove the knife. 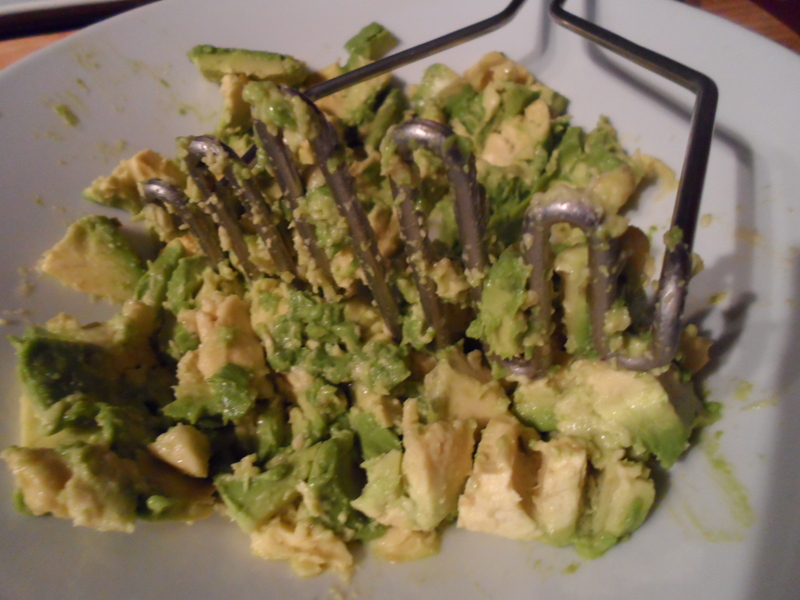 Hold one half of the avocado firmly and twist in opposite directions and the two halves will separate. One half will have the pit still in it like the photo above. 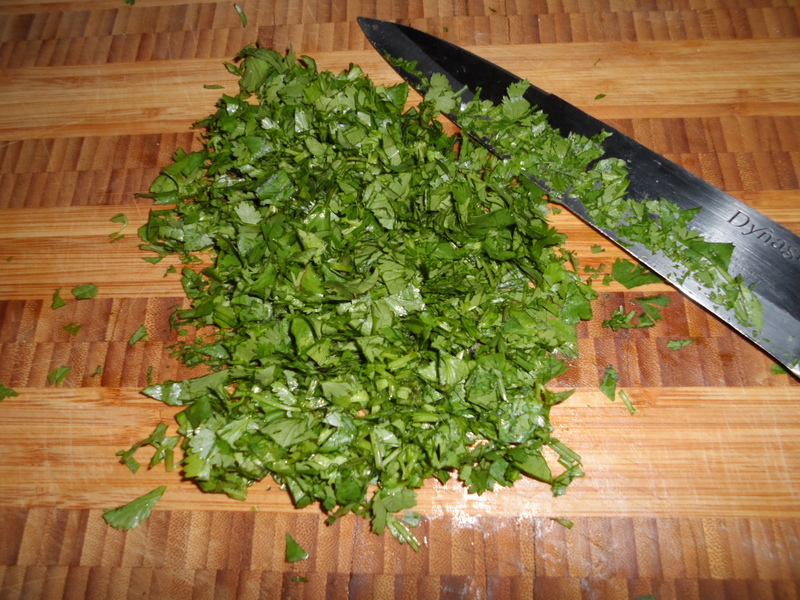 Take your knife and firmly hit the pit with the sharp edge so that the knife sticks into the pit. 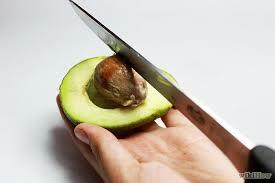 Twist the knife and the pit will release from the flesh of the avocado. Take a spoon and remove the flesh or peel back the skin with a knife. Here’s where the texture is totally up to you. 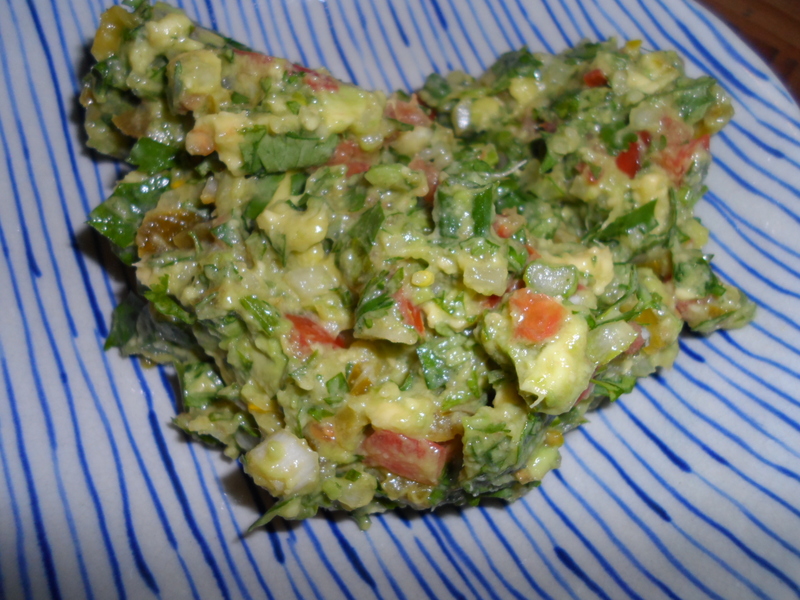 If you like your guacamole chunky, don’t chop everything too finely. If you like it creamy, keep mashing and mixing with either your fork or a potato masher. I like mine to be on the chunky side and I like to add tomatoes. I sometimes even add finely diced cuccumber. 1. Finely dice your onions. Add to bowl. 2. 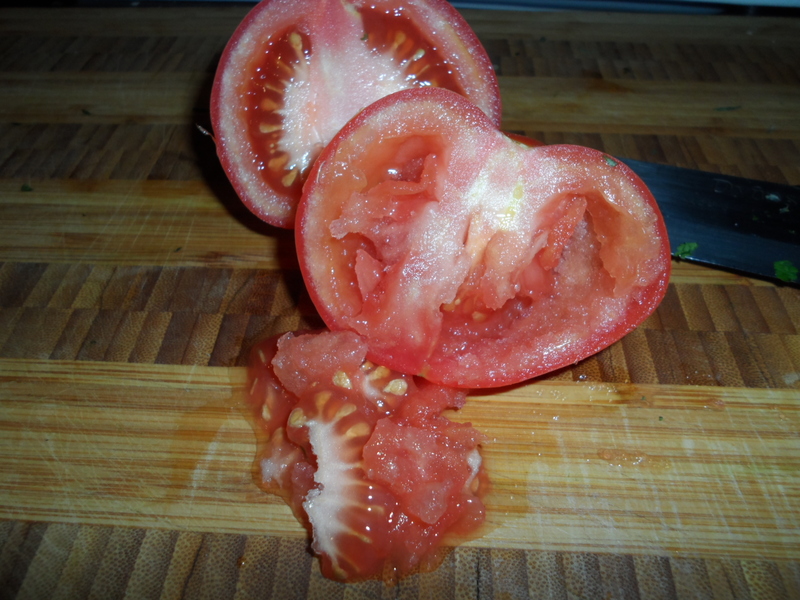 Remove seeds from tomato and finely dice. Add to bowl. 3. 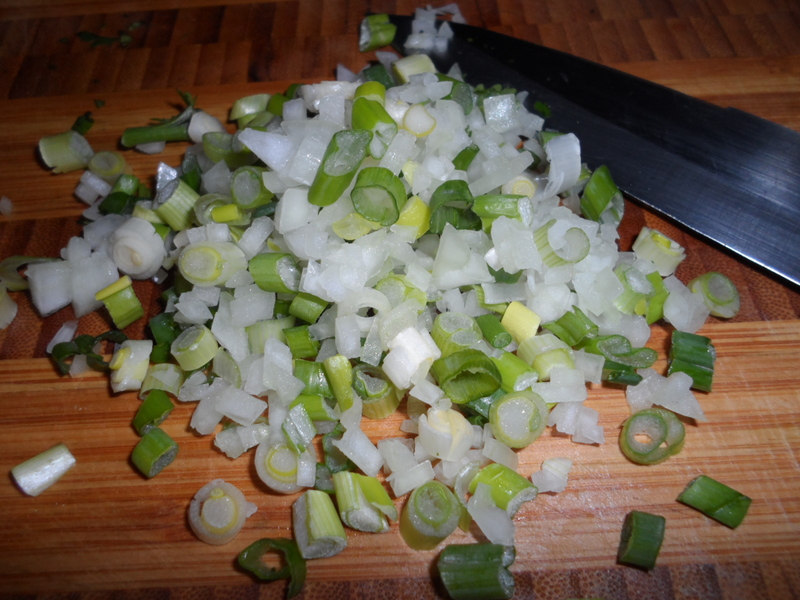 Crush garlic with a garlic press and add to bowl. 4. 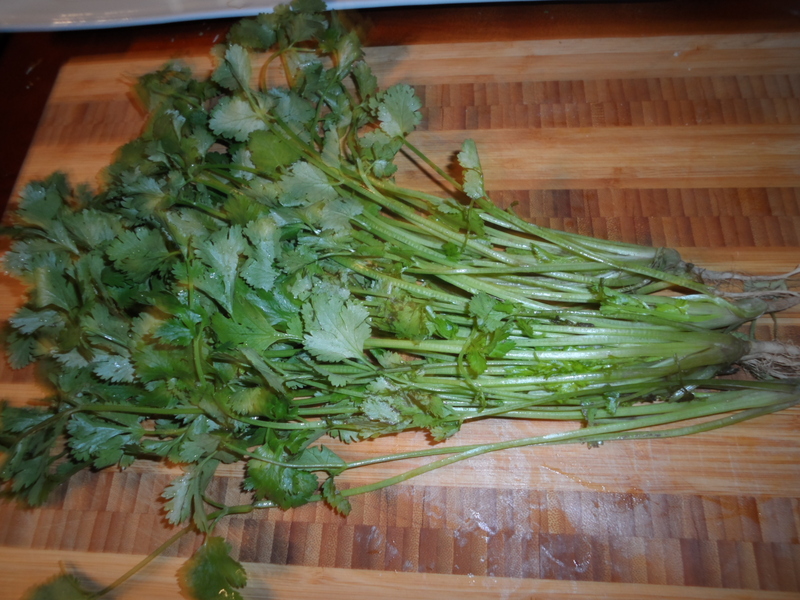 If your cilantro has roots still attached, remove roots and thick stems from cilantro, wash well and chop. Add to bowl. 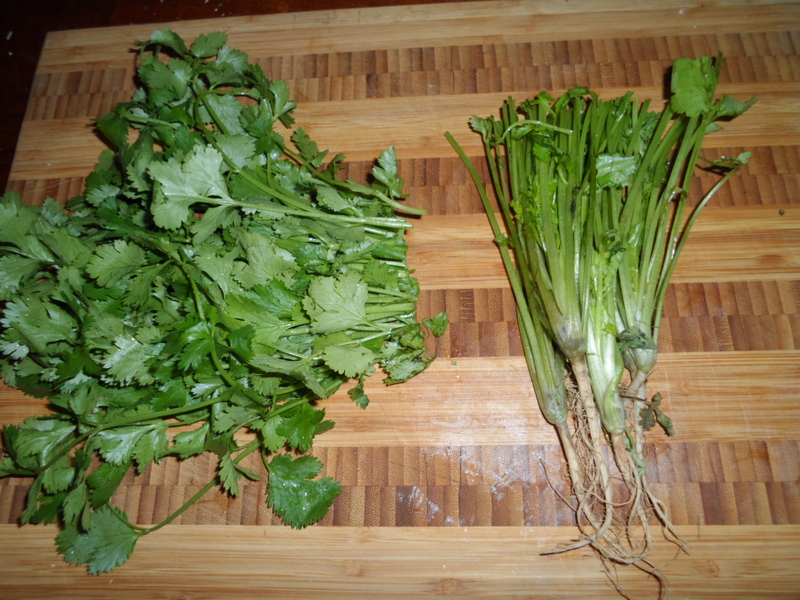 Hint: keep the roots for Thai Soup. Throw them in a zip lock bag and put in the freezer for later use. 5. Squeeze juice from lime and add to bowl. 6. 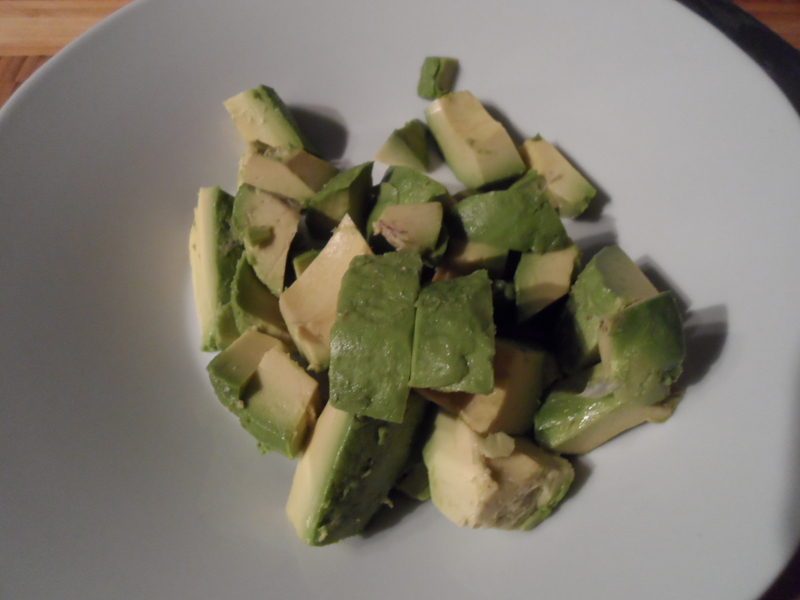 Cut avocado in half, remove pit and skin. 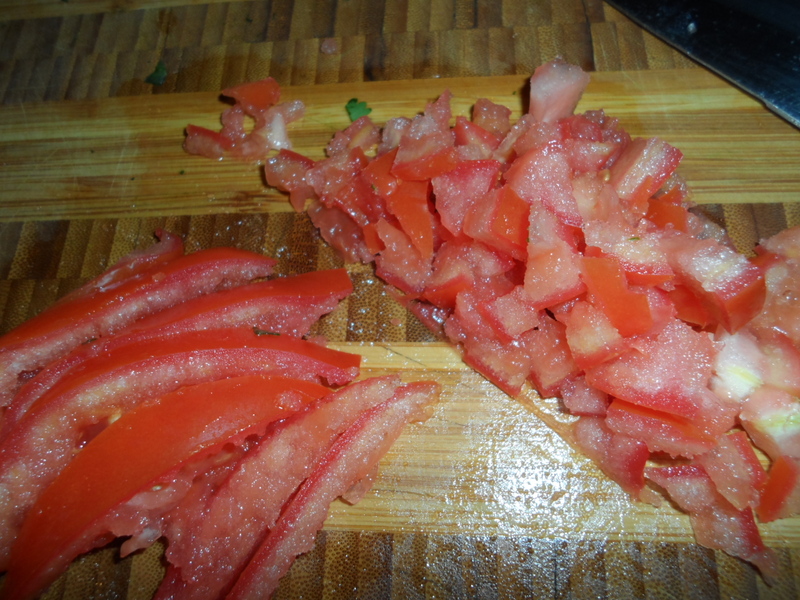 Roughly chop and/or use a fork or potato masher to crush. Add to other ingredients and mix until desired texture. Enjoy with your favourite tortilla chips or crackers, on a burger, in a sandwich or even on pizza. Yes, that’s right… pizza!!! 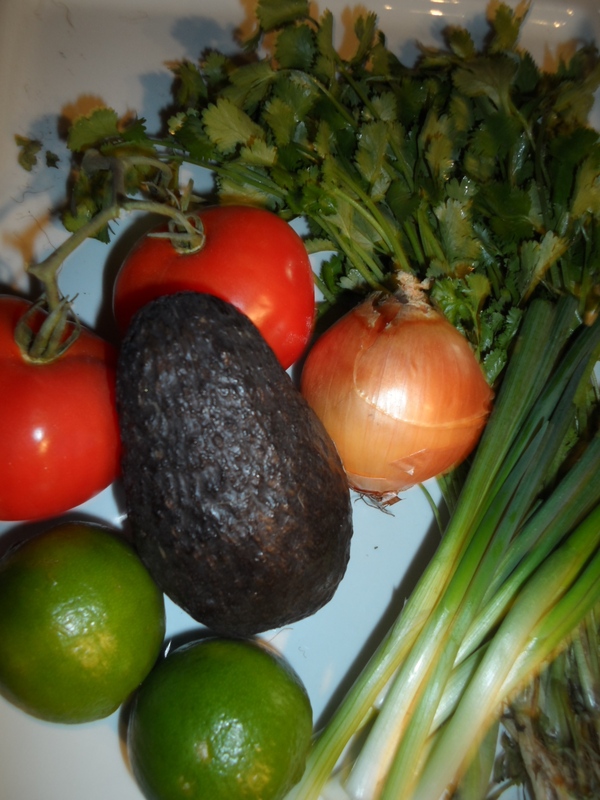 Posted in appetizers, dipsTagged avocados, cilantro, garlic, guacamole, lime, Manotas Organics, Mexican Recipes, onions, tomatoBookmark the permalink. To Buy or Not To Buy… That is the Question!